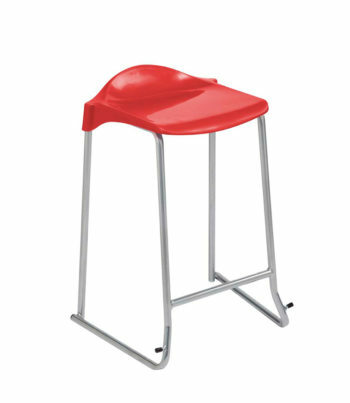 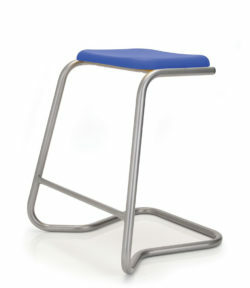 These are the original contoured “lipped back” stools for laboratories and art and craft rooms. 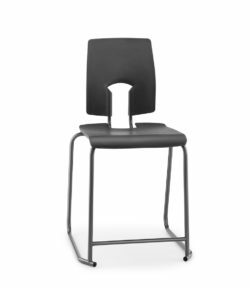 The frames can be supplied in black or grey and there’s a choice of ten seat colours: blue, charcoal, green, lilac, orange, purple, red, soft blue, green, yellow. 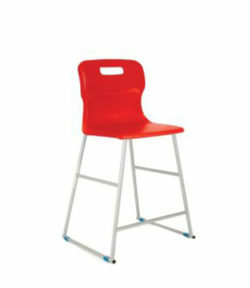 We recommend specifying steel feet where highly abrasive non slip flooring is used. 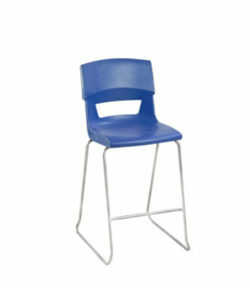 .. additional cost per chair £ 3.40. The WSM skid base is recommended for high wear locations.